Which outdoor furniture material is right for your space? 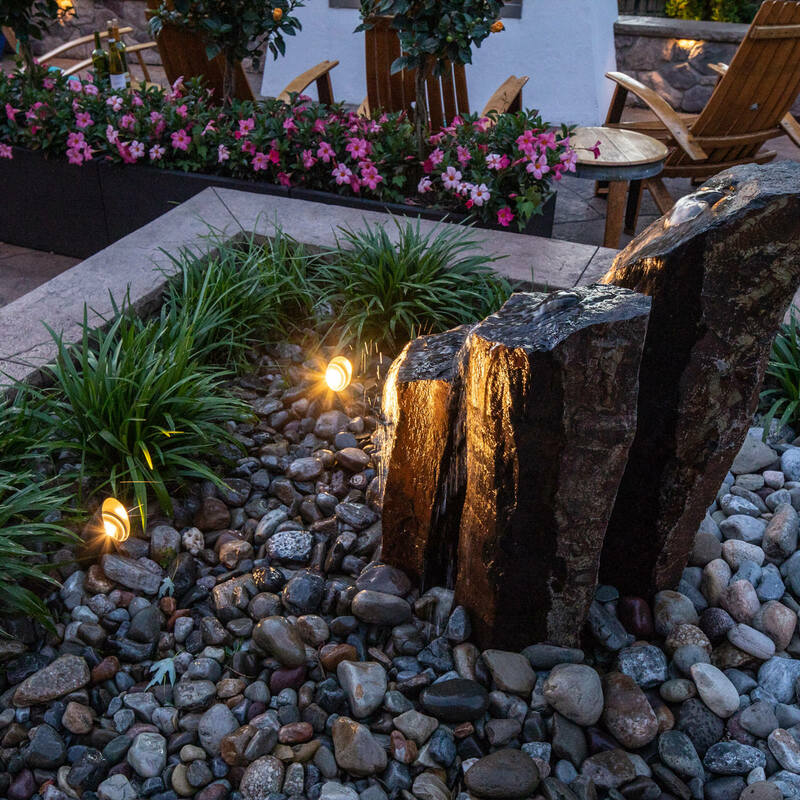 Furnishing outdoor living areas is always an exciting process, but when it comes to selecting the right outdoor furniture, research and education are key. Furniture suited for shade will not fare well in full-sun scenarios, and it is important to be able to select the proper materials for long-term solutions. 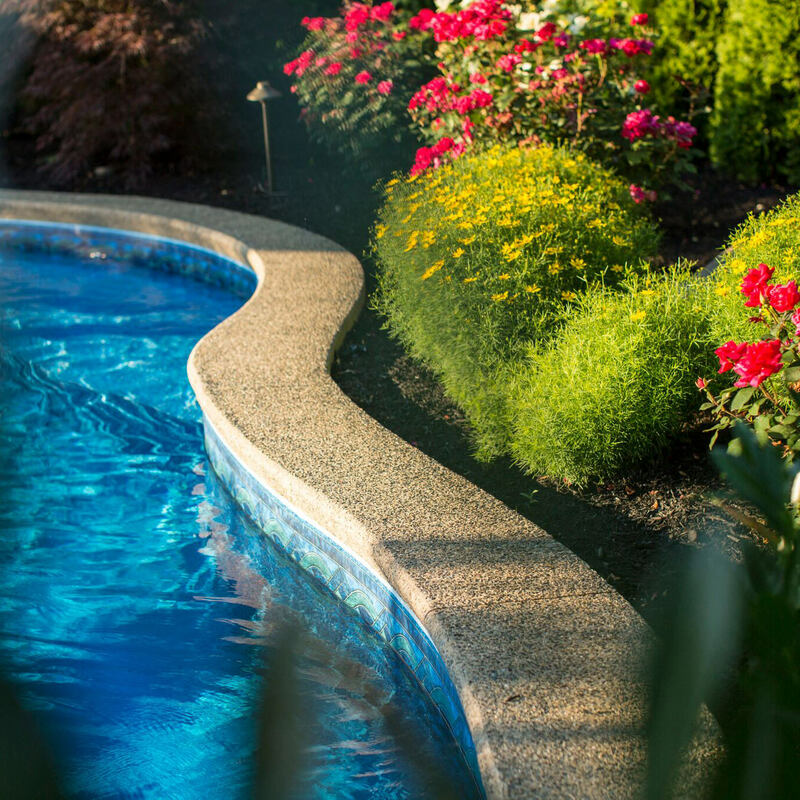 Knowing how each material compares in durability, aesthetic, maintenance and performance will give you the confidence in your purchases so you can put any worry to rest in the lazy days of summer. Outdoor furniture comes in many different varieties, styles and materials. Most homeowners set out to purchase furniture that is built to last, looks fresh for years to come and is easy to maintain. 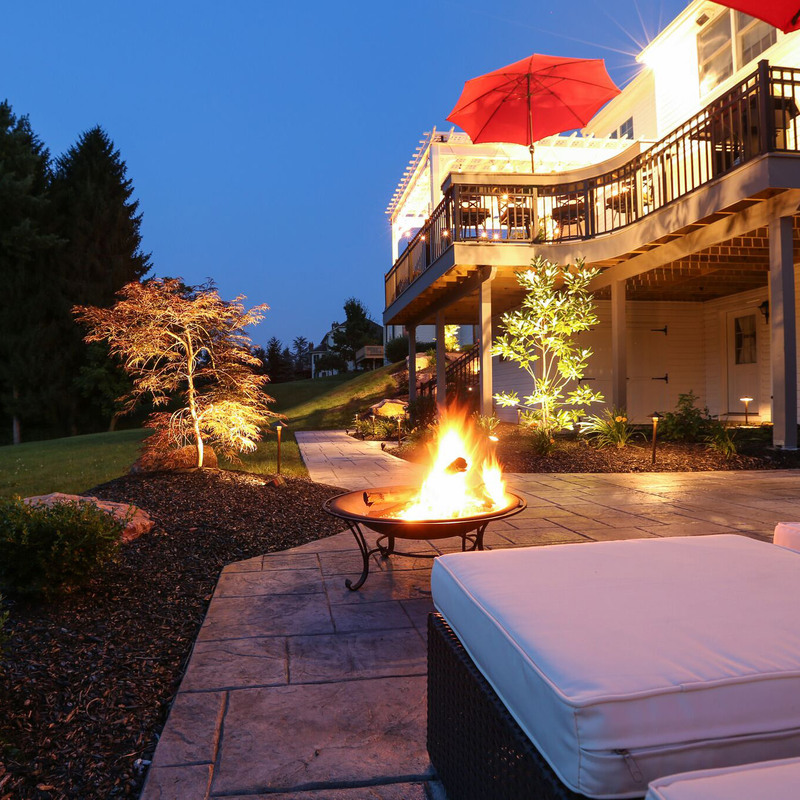 In order to make the best decisions when buying outdoor furniture, take into account the area you live, and where you are planning to place the sets. Some materials are more resistant to wind and rain, while others fare better in the heat of the sunshine. Other factors that are not often considered are the maneuverability and weight of the piece. 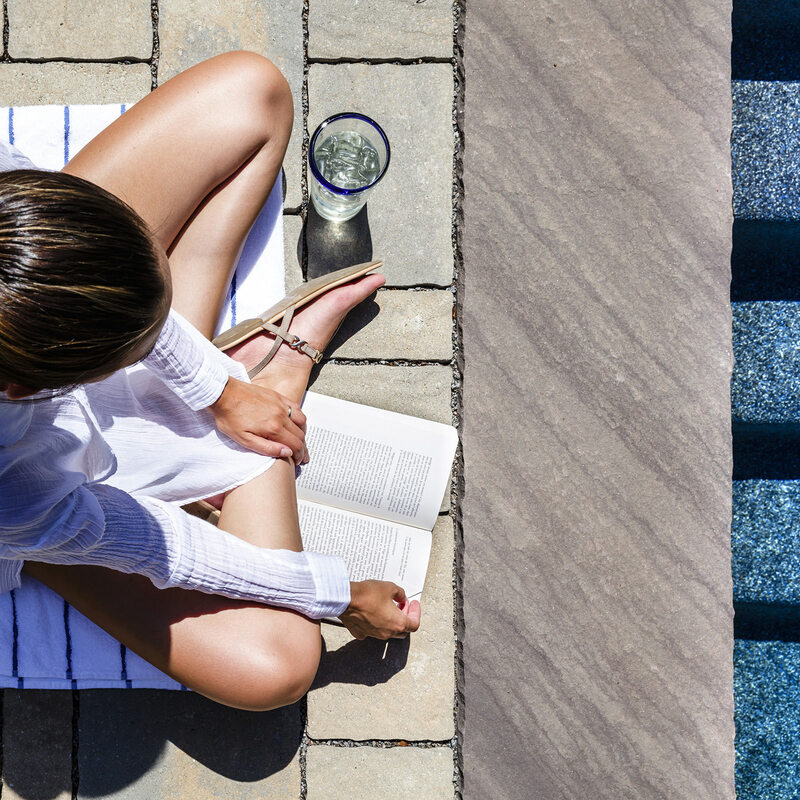 With so much to consider, let’s start with the basics and talk a little about the main materials of outdoor furniture so you can make educated decisions for your property. Plastic is usually the costs the least, and for good reason. While plastic is lightweight, most often stackable and can be made from recyclable materials, it is typically not the best-looking furniture and will not last as long as you may hope. Flimsy plastic chairs and tables are susceptible to breaking, drying out and fading with sun exposure. This material scratches easily and can show its age rather quickly. There are denser-quality plastic furniture options that require a little more of an investment and are less susceptible to stains, mildew and chipping, however, even though these pieces may be heavier they are still not resistant to windy situations. If a swift summer storm blows in, you will find yourself running to collect your chairs and tables so they don’t blow away or cause damage. If you are looking for a long-term, durable solution, leave the plastic and consider other options. *Maintenance: Wash with soapy water and apply cleaners that are made to prevent mildew and rinse. 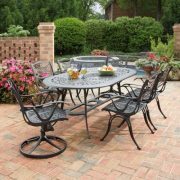 Cast aluminum is a wonderful outdoor furniture material because it is lightweight, durable and stronger than you might think. Being a popular material for contemporary spaces, it won’t rust or incur moisture damage because it is usually powder coated offering added protection from the elements. Best used for dining sets, since dining chairs are constantly being moved in and out, they are lightweight enough to maneuver and offer more than enough support and comfort. However, cast aluminum is not recommended for residential areas prone to high wind gusts, because you will end up doing more picking up than entertaining. Also be cautious of leaving cast aluminum in the sun for too long, as this material can get hotter than you prefer. There are different investment levels when it comes to aluminum furniture, the heavier-grade the more investment but also the most durable. *Maintenance: Wash with soapy water and rinse. Some people may refer to synthetic resin as “wicker” or “rattan”, but the truth is, these words are not interchangeable. Rattan is a traditional material used to make wicker furniture and the term wicker actually refers to the woven style of which the furniture is made, not the material used. Synthetic resin wicker, however, is an all-weather version that is made from resins extracted from plant materials, specifically made for outside use. Now that we have that cleared up, synthetic resin patio furniture is low-maintenance, lightweight and durable. However, be sure to look into high density polyethylene (HDPE) and not the cheaper PVC synthetics. PVC will become brittle, crack, break apart and unravel. HDPE is a much higher-grade material with more longevity and resilience. Most synthetic resin furniture is constructed on an aluminum frame, making it lightweight yet giving it strength. This type of furniture is very popular because it is stylish, fitting in with most outdoor living spaces, available in a variety of great colors and can be furnished with any fade and water resistant cushions you desire. Synthetic resin is made to withstand all sorts of weather, but it never hurts to cover it when not in use. This will keep the elements away and your cushions in place! Wrought iron is a classic beauty and is a historic outdoor furnishing material. Best incorporated in a formal or classic setting, wrought iron is prized for being sturdy, durable and heavy, able to stand any weather condition year-round. Older wrought iron may need to be treated regularly with a rust protection or paint. Newer wrought iron is usually pretreated with a weather resistant layer, helping to keep moisture and rust and corrosion at bay. While this material is great for unique spaces or hidden garden nooks, it is not the most comfortable furniture you will ever sit on, so if it is being used for function rather than decoration, weather proof cushions are recommended for comfort and to minimize how much metal is exposed to the sun, as wrought iron can get very hot if left out. *Maintenance: Apply rust protection when needed. Clean with soapy water and rinse. Not all wood is created equal in outdoor applications but the common benefit to all wooden furniture is its appeal and natural beauty. Pine, cedar and fir are softer woods that offer some degree of weather resistance but will age to a grey finish if left unsealed or untreated. 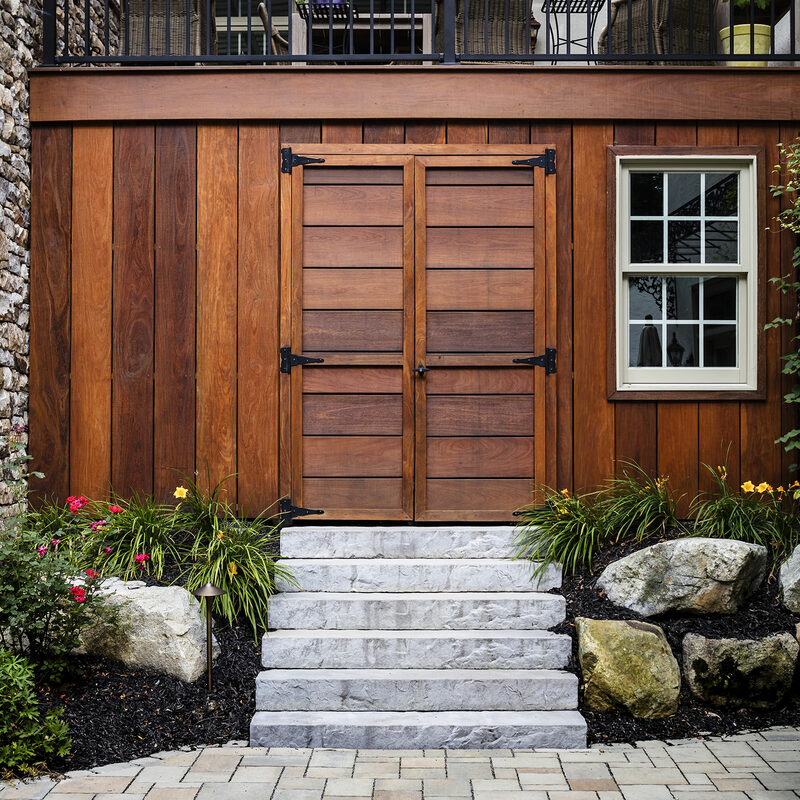 Pressure treated pine and soft woods can last outdoors for as much as 20 years with low resistance to water damage and decay, but if an untreated wood is preferred, be sure to seal it and bring inside over the colder months to prevent premature aging and rot. Hardwood options like shorea, jarrah and teak boast exceptional performance, toughness and endurance out in the elements. These hardwoods have a high oil content which allow them to easily shed water and are highly resistant to rot and big infestation. Being able to remarkably withstand wind, snow, rain and sun all together, these materials can last outdoors up to 50 years! Taking the extra step to treat the hardwoods with specially designed oils and sealants will significantly increase their lifespan and make sure they don’t turn into a silver patina. So, while wood furniture may give a homeowner sticker shock in the showroom, keep in mind that not only will your set look absolutely stunning and sophisticated, but the hardwoods are going to last a lifetime! *Maintenance: Wash with soapy water and rinse. Apply oils to maintain original appearance. If you are looking to furnish your outdoor living spaces this season, it is highly recommended that you close the internet browser and go out and physically visit stores that have outdoor selections. You can’t try out the furniture online, and it would be a shame to purchase something and be let down with its true color, size, finish or overall quality. I mean, who wants to go through the hassle of returning a complete patio set? Going to a store, being able to lounge, inspect and put your hands on the furniture for your beautiful outdoor living space is the best you can do to keep your backyard looking quality and feeling like home. Feel free to mix and match synthetics with real woods, it will open up the space and give it a well-thought out textural interest. When your outdoor living space is exactly how you’ve always pictured it in feature and function, the proper furniture will be like icing on the cake! 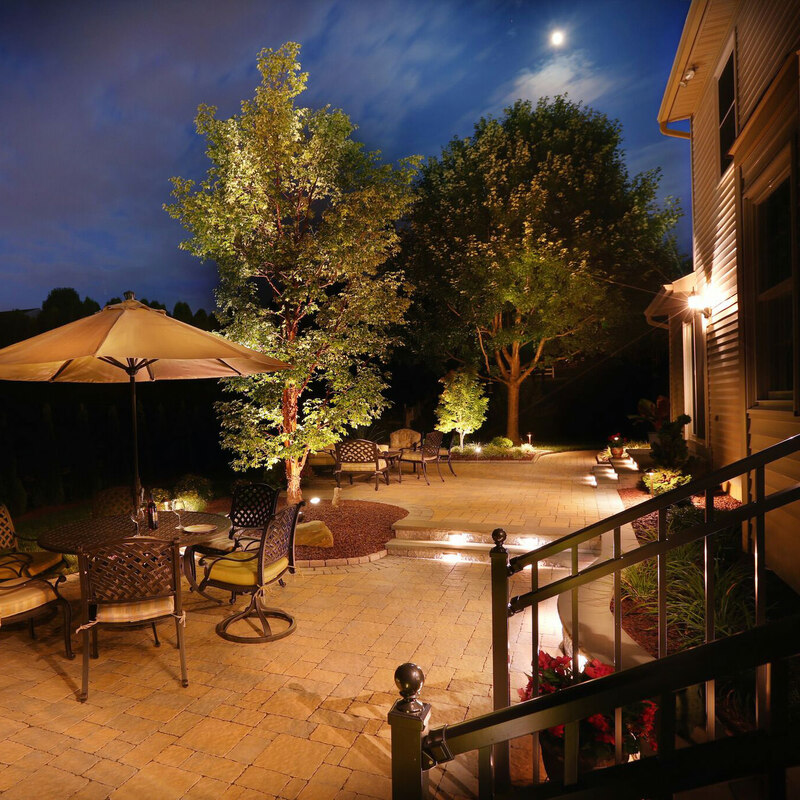 Don’t fret or feel overwhelmed when it comes to making outdoor living decisions, this is what the professionals are for! 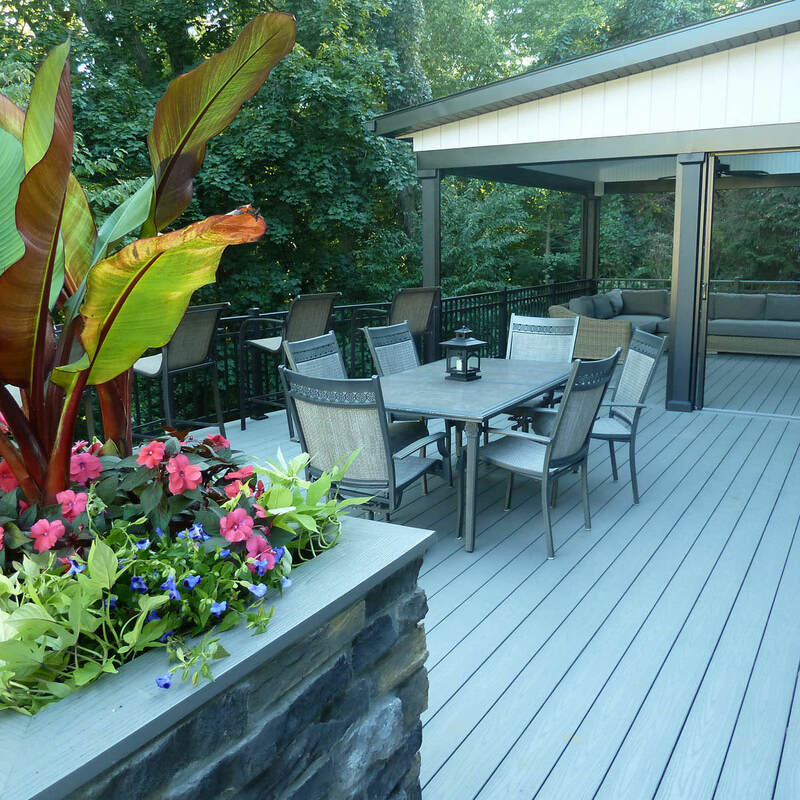 If you are looking for guidance and a partnership with a professional, caring and passionate outdoor living design-build firm, reach out to us at MasterPLAN! 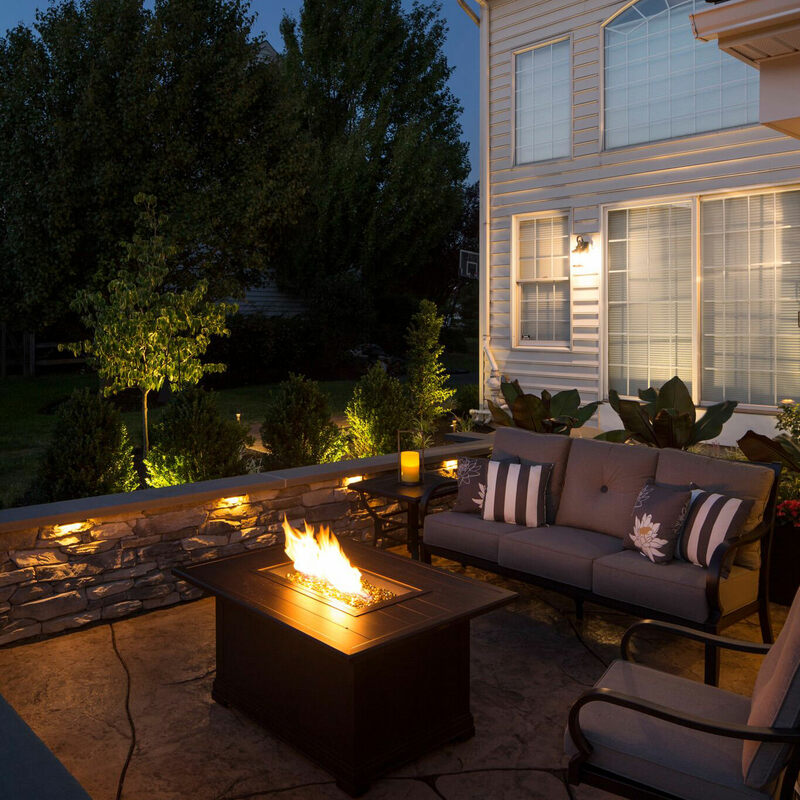 From the first meeting through the design, engineering and construction of your dream outdoor living space, MasterPLAN is always at your side and has your best interests at heart! 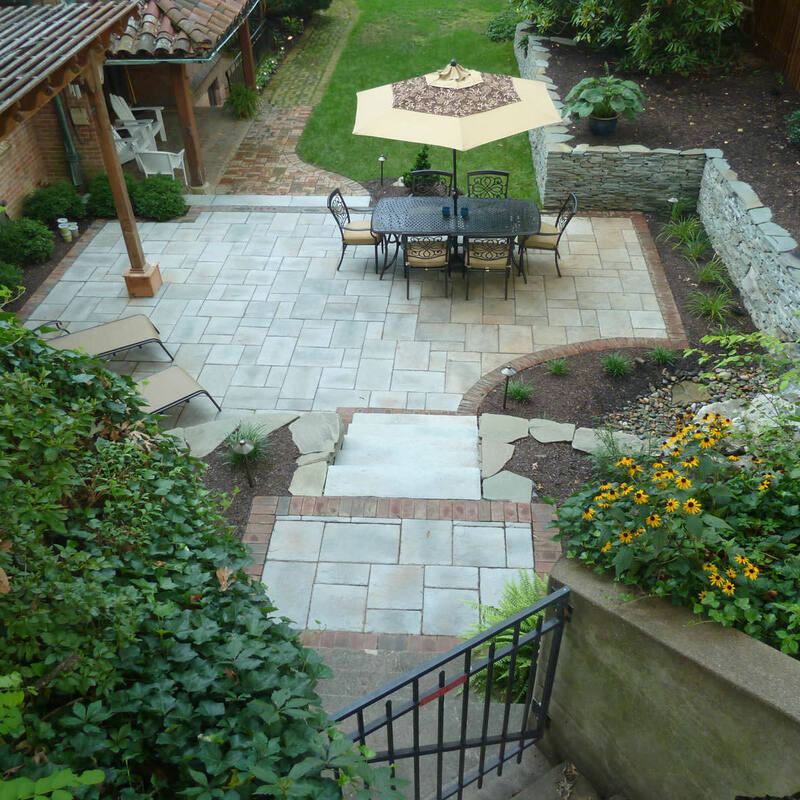 Serving the Poconos, Lehigh Valley through the Main Line of Philadelphia and western New Jersey, we would love to help you uncover the full potential for your property for a custom tailored backyard transformation your family will love! When you are ready, we are ready!